What is Sacred Gaian Herbalism? We're a proud member of United Plant Savers! wildcrafted and organic sacred plant medicine, from tinctures and teas to ritually-crafted aromatherapy, flower essences, and CBD products. She began her training as a young girl, when her father taught her to dowse and to feel for ley lines and Earth energy as they walked the fields and woods of New England. As a Green Witch, her awareness of and reverence for the planet and nature is present in all she does. Jessica began teaching at age 17, and received a B.A. in Transpersonal and Counseling Psychology in 2006, before beginning to study herbalism and aromatherapy in earnest in 2007. 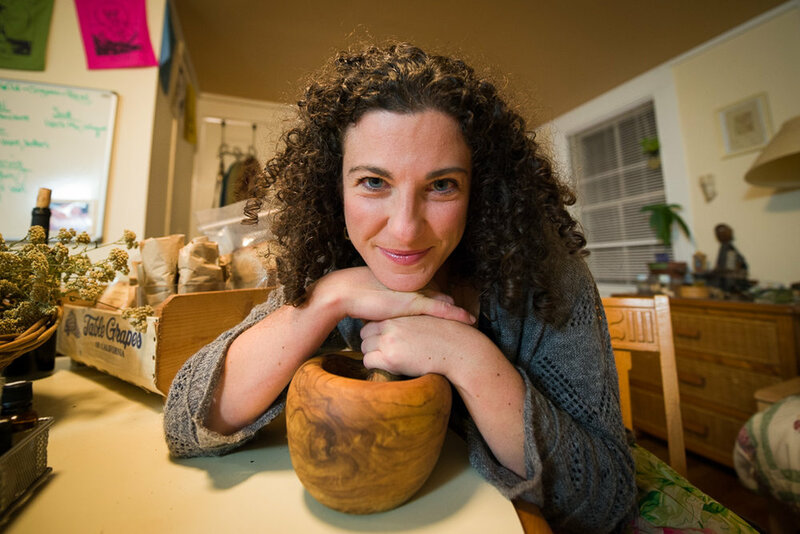 Since then, her herbal work has grown to incorporate a host of botanical, healing, spiritual, and multicultural wisdom traditions, including Indigenous herbalism, Eclectic herbalism, Wise Woman herbalism, folk medicine, Ayurveda, shamanic journeying, plant communication, Green Wisdom, permaculture, and organic farming. She works hard to honor without appropriating and to give credit to the teachers and wisdom holders whose work has shaped her journey. Some of the many gifted teachers she is grateful to have learned from include Kelley Robie (Horsetail Herbs), Darrell Martin (Blue Boy Herbs), Lynda Baker (The Essential Herb Cottage), Leslie Wood (co-author of Common Ground with husband Fredda Paul), Rebecca Boucher, David Fischer, Ken Mudge, Margi Flint (EarthSong Herbals), Rosemary Gladstar (Sage Mountain), Dr. Rocio Alarcon, Dr. Lisa Greyshield, Ricky Simaratana (Medicine Wheel Matrix). Since founding Blackbird’s Daughter Botanicals in 2009, she has traveled nationally and internationally, training, teaching, and sharing botanical medicine and healing with those in need, from the streets of New Orleans and the Mayan jungles of Mexico to the Oceti Sakowin Camp at Standing Rock. In addition to supporting her clients’ physical health through botanicals, Jessica specializes in unraveling inherited/ancestral trauma through a multi-disciplinary approach based in narrative therapy, the Heroine’s Journey, and the power of ceremony and Nature. She deeply enjoys working with children and adolescents with learning differences and emotional struggles, families and partners looking to heal together, individuals with trauma histories, and folks who are experiencing life changes. Her apothecary is stocked to the rafters with home-grown and wildcrafted herbs and an ever-evolving selection of small-batch and custom-blended tinctures, teas, salves, perfumes, spices, smudges, and other herbal delights. Jessica meets with clients in her home apothecary and in the community, visiting homes, gardens, coffee shops, schools, and places of worship - anywhere where people are ready to welcome the wisdom of the Earth into their lives. Her sacred perfumes are treasured healing talismans for those who wear them. Jessica is dedicated to aiding people on their sacred life journeys and guiding them to their most authentic selves. Jessica shares her undivided connection to the Divine with joy, honesty, and validation of the hard and beautiful work it takes to be Real. Gorgeous fan art from visual storyteller Hye Lee!